As our children get older we want them to learn responsibilities. A very good way to do that is to find age appropriate chores for your children to do around the home. This will also help lessen the load off of you too. 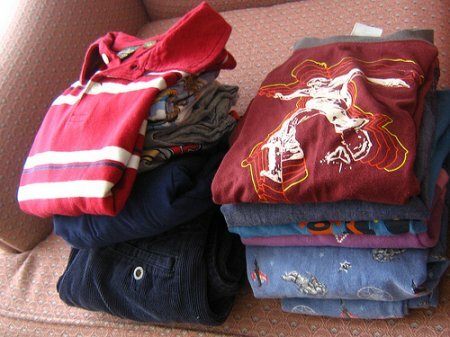 But a very good question that we ask is what chores are age appropriate for children? I personally make a list of things that have to be done around the home, then go over it and just look at how easy or hard the chore is and assign them to each child that it would fit suitable to doing. Of course I am not going to have my 2 year old washing windows and all but there are things for just about all ages. I am going to put a list of age range chores that may be suitable for your children to do. This also teaches independence to your child, along with responsibilities and being tidy too. What chores can toddlers do? Washing up in the morning and at night. If they have thir own room or share a room with some one they can help in cleaning it up when it gets messy. What chores can children do? As your child gets older they are able to do more things then a toddler can do. With them you can offer an allowance for things they complete around the home. Again this teaches them to become more responsible with things. And how to stay tidy. Depending on the chores you feel comfortable giving them it also makes them feel like they are independent and achieved something important. Here is a list of things you can have your older child do for chores. What chores can teens do? Now that you child is becoming a young adult they are going to have to learn even more responsibilities. They are going to be assigned more tedious chores and more of them. They are starting to prepare for the time they will be on their own, this way they will know how to live alone. Plus again you can offer them an allowance for things they do around the home. And also learn how to save money for the future. If there is a pet taking care of the pets needs like feeding, walking, bathing, cleaning cage, and play with them. There are probably many other things in these different chore charts that I may not have mentioned, but remember to try to make sure the chore you are going to have your child do will be age appropriate. We do want to teach our children things but not at the cost of them getting hurt some way. And again if you are not sure if it is age appropriate run over the lists I have provided you with. If the chore is not posted there then you can look it up on line or you can go to the store and get a book for this. Share a link to a page on Chores Children Can Do and we will consider it for placement on this page.